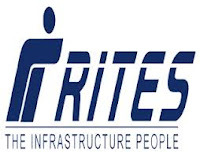 RITES Limited has announced recruitment news for the post of Technical Assistant (Civil), Engineer (Civil) and CAD Operator (Civil). Applicants interested in this job may apply online on or before 9th April 2017. RITES Limited has announced recruitment news for the post of Joint General Manager, Deputy General Manager & Site Engineer on contractual basis. Applicants interested in this job may apply on or before 15th January 2017. RITES Limited has announced recruitment news for the post of CAD Operator operators on contractual basis. Applicants interested in this job may apply online on or before 23rd October 2016. RITES Limited has announced recruitment news for the post of Joint General Manager, Deputy General Manager & Engineer on contract basis. Applicants interested in this job may apply on or before 30th September 2016. RITES Limited has announced recruitment news for the post of Technical Assistant on contract basis. Applicants interested in this job may apply online on or before 29th September 2016. RITES Limited has announced recruitment news for the post of Deputy General Manager on contract basis. Applicants interested in this job may apply online on or before 23rd September 2016. 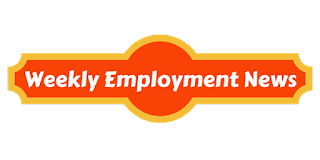 RITES Limited has announced recruitment news for the post of Manager (Environmental Engineering) on Regular basis. Applicants interested in this job may apply online on or before 02nd September 2016. Post-Graduate Degree in Environmental Engineering or Degree in Civil Engineering.